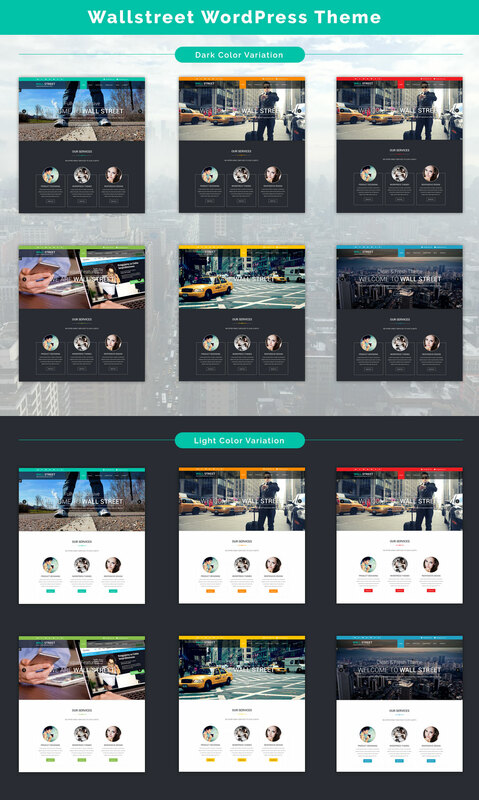 Wallstreet is a premium WordPress Theme. Wallstreet comes with multiple colored variation. Inside this theme awesome style switcher for changing color scheme. +-How to Change Logo in Wallstreet Theme? +-How to Change Social Links? +-How to Manage Slider in Wallstreet Theme? +-How to Add Service in Wallstreet Theme? +-How to Add Gallery in Wallstreet Theme? +-How to Add Team in WallStreet Theme? +-How to Add Project in Wallstreet Theme? +-How to display portfolio with different way? +-How to Change Theme Feature Section Content? +-How to Add Testimonial in Wallstreet Theme? +-How to Add Client Logo in Wallstreet Theme? +-How to Change Footer Copyright Text in Wallstreet Theme? +-How to Manage Contact Page Settings in Wallstreet Theme? +-How to Use Theme Layout Manager in Wallstreet Theme? +-How to Change Theme Color Scheme in Wallstreet Theme? +-How to Remove Page / Post Publish Date? +-How to manage Latest Post on Homepage in Wallstreet Theme?